SPECIAL $18 off, so $49 gets you the complete course!!! Master any project, collaboratively, quickly and easily. BONUS: FREE 60 minute consultation with Seamus on any of the above programs. This is a 7 day micro-course - you save time and money by becoming more efficient in everyday computer tasks. 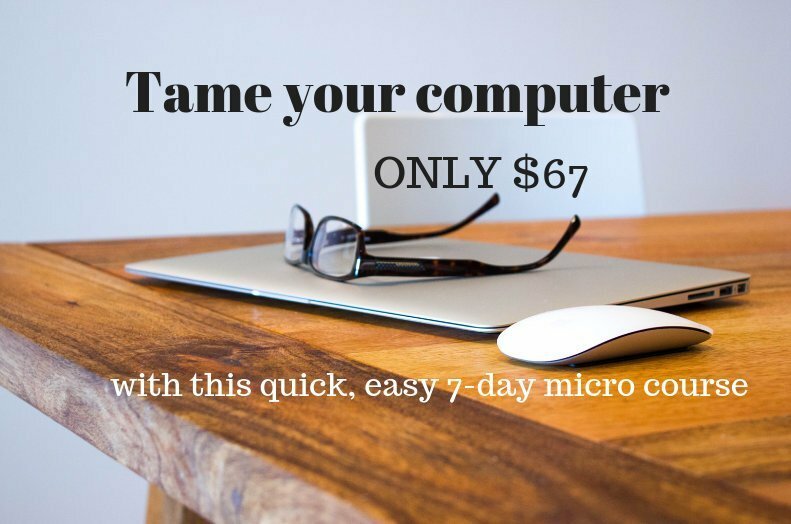 Tame your computer and get your life back in 7 days!